Broadway begins at the Battery and ends near an odd spot in northern Manhattan once referred to Tubby Hook. It’s likely you know some of the story of the Battery — its transformation from a military outpost and immigrant depot to a hugely popular park — but probably nothing at all of Tubby Hook (from the Dutch ‘Tobbe Hoek’), the land which became Inwood. Between the Battery and Tubby Hook, the boulevard of Broadway runs the length of 13 miles, through neighborhoods of varying style and prestige, passing by a summary of almost 400 years of New York City history. Broadway wears the layers of metropolitan progress like the rings of an old tree. 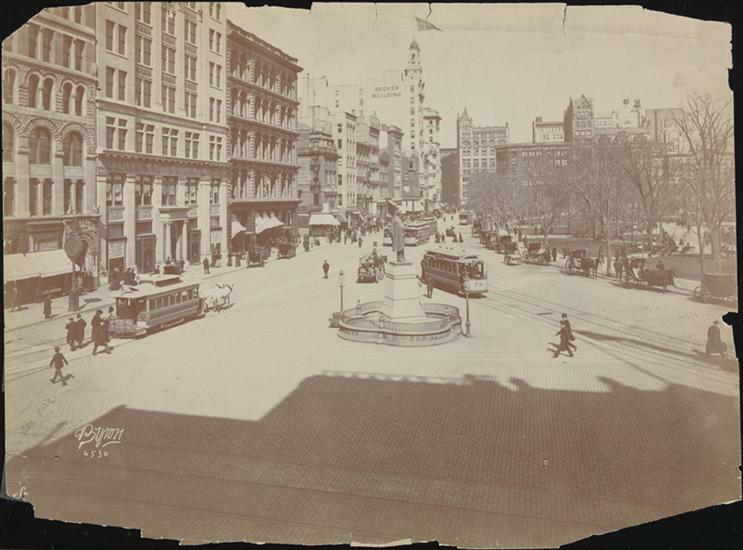 As the central spine of city affairs — at least until it bows west at Central Park — Broadway represents New York’s universal appeal, the destination for all classes, even in the Gilded Age. 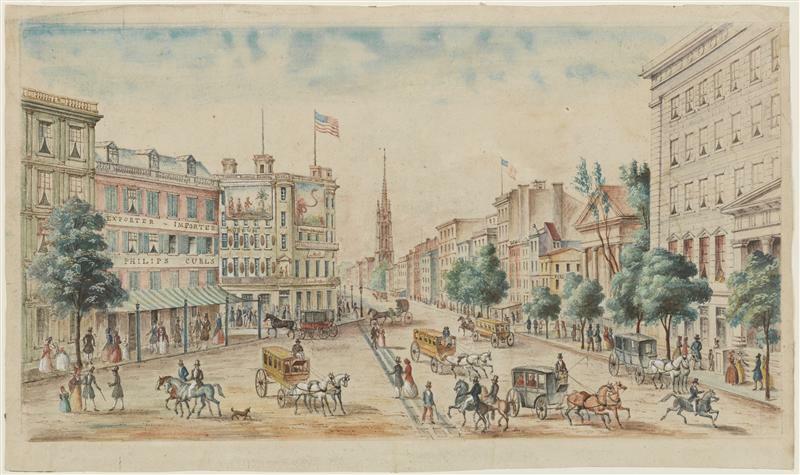 Fifth Avenue was close to Broadway, as was the Bowery and its residents. Its grid-breaking meander up Manhattan allowed for the creation of unique public spaces, its very ‘broad’-ness for bold and flashy architecture and signage. 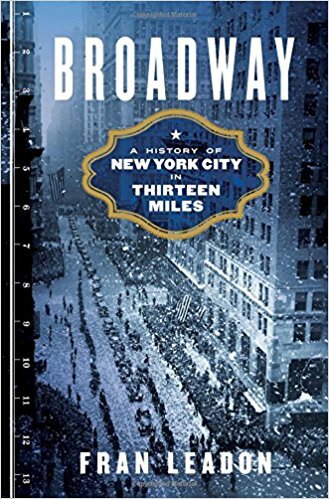 Fran Leadon, an architect and co-author of fifth edition of the AIA Guide to New York City, is a perfect biographer for Broadway, a main character in the development of one of the world’s great cities. His book is dense, richly written and researched, loaded with a million fun anecdotes. In a way, Broadway lacks the personality of a Bowery or a Fifth Avenue; Broadway is, for the most part, everything that New York City is. (Everything but the ports, that is. The same treatment of the Manhattan waterfront would present a starkly different tale.) The book is arranged south to north — carved into 13 section, one for each mile — and the density of material, especially in the first half, can be overwhelming. Especially when you consider that the story of Broadway is still in process. As new architecture transforms the city once gain, Broadway reminds us of the deep prominence this road still holds in the American imagination — for commerce, for politics, for the musical form which bears its name.